To hear the audio-article, ensure that your speakers are turned on and that you use an EXPLORER browser, then right click the link below......that way you can also rad the article below as you listen! Hello and welcome to womenssselfesteem.com's audio-article, The Truth of jealousy 'part 2. Getting control of jealousy! I would like to open this article with a quote that says many truths in so few words. “When you're a beautiful person on the inside, there is nothing in the world that can change that about you. Jealousy is the result of one's lack of self-confidence, self-worth, and self-acceptance. In this audio-article you will learn different strategies and positive steps in battling the negative thoughts that feed the hunger of jealousy. I would like to ask for 20 minutes of your time to hear very important information in regards to overcoming jealousy. Jealousy and ones feelings of low self-esteem seems to have become a widespread issue for many women these days. It's not that women are just beginning to suffer from these horrible confining emotions; it 's more that women are finally seeking ways to understand their emotional reactions and overcome them by reaching out for help. Jealousy is no longer being considered an issue of embarrassment, which is one of the reasons so many women would not come forward and ask for support. Let me ask you this, what is the first thing you do when you have a cold? You run to the store and get medicine or you call a doctor, there is no embarrassment there, just an intelligent decision to reach out for a cure. It's considered a brave and intelligent decision to find the cure for this illness, jealousy,being the illness that we are talking about here. *The next point that I am going to talk about is very important. It involves gaining self-acceptance and self-understanding. Finding a cure and finding ways to battle jealousy issues are one in the same. When you find yourself falling back into old habits of thinking, battling an issue like jealousy is going to take persistence, commitment, repetitive actions and a will to get up, time after time when you find yourself falling back into old habits of thinking. In order to battle any emotional confusion you must first seek self-understanding and then self-acceptance. Understanding yourself, who you are now and how you got to this point is the basis for self-understanding. Self-understanding must be identified before you will ever be able to gain self-acceptance. Knowing how you got to this point in your life is critical for you and must be addressed. Chances are, you may not be able to identify or remember exactly what took place in your past that was so negative. Most women with jealousy issues, have experienced some type of trauma or negative experience, to a degree, some time earlier in their life. As I mentioned in Part 1 of this series on jealousy, neglect, verbal and physical abuse during a woman's early childhood can have a massive impact on how well you are able to handle your emotions in relationships. Though you cannot change your life history, understanding and acceptance of your self is a must. Know who you are and know that you have past issues and that you have grown past them, this is how you must see yourself now. Learning to accept yourself will allow you to accept others for who they are and you will also see positive motives as opposed to negative ones. Now you must act on the understanding that you have gained about yourself or all of what I am about to teach you will be a waste of time. The choice is yours. Taking action is a choice that you must commit to in order to win any battles in life. Do not allow your fears and worry become your way of life. Gaining self-understanding and self-acceptance and learning to understand how to take control of your emotional reactions is a definite positive step towards strengthening your self-esteem, self-respect and self-worth. It also is very effective in erasing the self-blame that will eventually begin to wear you down. After enough jealous irrational reactions, it is a fact that you will begin to blame yourself for everything that goes wrong in your relationship. "Self-blame= guilt". When jealousy has been allowed to damage your relationship you will begin to fall into the guilt stage . How can you not blame yourself, when it is you that is allowing these feelings to control you? This thought in itself is strong enough to tell you that it is time to stop allowing negative thoughts to ruin your life and start allowing only positive thoughts into your mind. One of the main complaints that I have read and heard from women is how hard it is to have to constantly remind yourself to think positive and how very frustrating and tiring it is to continue this battle every day. These feelings are going to definitely be there, how can they not be, you are battling a serious issue, you are fighting for your life so to speak. I would expect nothing less, than to have to put my best foot forward in gaining anything worth having. A very important thing to keep reminding yourself of is, that as hard as you fight to survive, the stronger your inner self will become. Your strength depends on your will to fight and overcome this jealous trap. Many of you have heard this next thought or quote. "whatever does not kill you, will eventually make you stronger". These are very good words to live by. Like any negative trauma or emotional scar that our minds experience, that memory of the trauma never goes away nor will it be surgically removed and the scar is always going to be there. Emotional scars must be dealt with, through your choice of thought, it is through positive steps and strategies that you will learn how to put these scars in a safe place. If you allow this memory to gain strength and return, it will. Jealousy and low self-esteem are very strong, and controlling negative feelings. These feelings can only be overcome within yourself if you truly WANT this. The key is You and how badly you want to end this lonely and frustrating world that you are being held captive in. One strategy on how to deal with jealousy is where control over positive and negative thinking habits come into play. Your negative thoughts will trigger your jealous emotions and put your mind and body into a total defensive mode. If you have listened to part 1 of this series or have experienced an attack of jealousy, then you understand what I am trying to say. Your body language immediately changes from relaxed to very uptight and almost nauseating. Your need to escape into invisibility is instant. At this stage in your reaction you must wake yourself up out of that hold and realize what is going on within your thinking. It is so important to be able to understand and identify your negative thought. Once you begin to identify to yourself exactly when this fear begins to trigger inside of your mind and you are able to feel that control switching from a happy self to a paranoid self, only then can you begin to grab hold of that thought and begin to change it. This is a very important strategy in gaining self-control over your negative thoughts. But overcoming them is just the first step, then you must learn to stay the course and be ready for their ugly return, because as I have already said, they will return. With your ability to choose positive thinking you can control a lot of what comes and goes in your mind. When you can accept who you are, you will be able to trust yourself and inturn trust others. To be able to trust is to be able to feel freedom in your life. Trusting your partner is a key that will open many doors to happiness in your relationship. Believe me, if he did not want to be with you, he would not. If he happens to see a pretty site, smile and agree that it is a pretty site and carry on enjoying your day. No one is trying to erase you from his mind. There is no connection between you and what might cross his path. You are his choice. He chose you. He has made a positive choice and he is happy with that choice. Show him the same respect and choose to trust him and choose to not allow your mind to get trapped on a negative roller coaster. You and only you are responsible for your happiness. Think about how long you have been with your partner and how often your reactions ruin so many good times. Now think again about who he is and how much he does love you. This is the man that you chose to share your life with. These are very important facts that you have to realize. You already identify, that Jealousy is infact something inside your mind caused by low self-acceptance and self-understanding emotions. What begins to stir it up, are the triggers around us. Your partner's reaction or action can be one of the greatest triggers you are faced with, because you are personally attached to him. You allow him inside of your most private mind and inner self, unfortunately that is where your emotions are stored. Being of a negative mind and feeling emotionaly threatened, will not mix well, therefore leaving you in a constant emotional battle. Emotional jealousy is a very difficult thing to get over because you cannot control these triggers. Even though you know and understand what the triggers are, your partner does not. Yes, you tell him over and over, you scream at him, and you will spend countless of hours tearing yourself down over certain actions or reactions that trigger your weaknesses and fears. Some partners feel that there is absolutely no connection to their habits and your fears, others feel that they are to blame either way it's unjust. Your partner is not the other person that was involved in hurting you in the past, love him for who HE is, not who has hurt you before him. Accusations and mistrust are very hard things for your partner to deal with or even know how to fix. He also feels that he has to be careful where he looks and who he talks to, that is called, "Walking on Eggshells", noone likes to feel that way in a relationship. The only reason your partner walks on eggshells around you is because he loves you and wants to understand you. So thank him for that and tell him it's not necessary anymore. 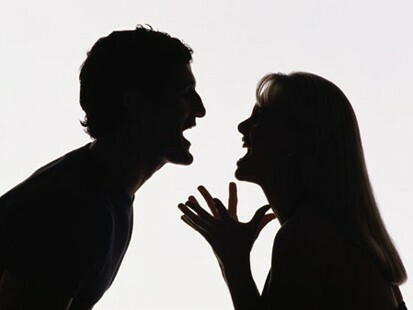 If you are speaking through a negative thought, the only reaction that your partner will feel is a negative one. In turn he reacts and goes into am immediate defense reaction. Neither of you are thinking positive when this happens. No wonder things get out of hand and turn into an even more negative situation. You are left, still in fear and now you have guilt and your partner is left with confusion and a ton of frustrations. If your partner tells you that your irrational thoughts are killing your relationship, you had better believe it. He is 100% correct in that fact. If you are at a point in your relationship which you feel that the damage is unrepairable and that your partner will not even want to talk to you about your fears again, stop that thought right now. He would love nothing more than to hear a different approach to getting you happy. Your partner is in on this issue along with you, and that is why he gets so angry when he is feeling unjustly accused of things that even he can't control. Know this, your partner will make his own decision, whether you scream and yell or waste your life allowing your mind to be destroyed by negative thoughts. Your need to trust is imperative in any relationship. Trust and negative thinking do not go hand in hand. Only positive thoughts will bring positive results. Through your jealous thinking you are making a huge mistake and adding more confusion to your mind by not looking at the real picture. The picture being, yes he might find someone else and yes he might leave you, but you yourself may end up in this exact same situation. No one can predict the future, but why would you want to think the worst scenario. IF your partner does decide to change his life and I emphasize IF here, why even waste one second worrying about what you will not be able to change. You must learn to enjoy life for what it is today and trust your own self that you do love and you do trust this person. It is so much easier to be happy and learn to say, SO WHAT more often to the little stuff. Another very effective strategy in overcoming jealous habits is good communication, learn how to talk to your partner about how YOU feel inside, not how he makes you feel. Take the part of who is actually allowing these negative feelings to enter inside of you. It is you, not your partner. Asking your partner for help will open his heart and he will not feel accused. Explain how your feelings on certain things are challenged through your own insecurities, and not by other elements. If your partner feels that you are being honest and not judgmental or negative, he will open up to support you and listen to you. You must not use an accusing voice when you are trying to explain how your fears are controlling your reactions. It is important to understand that all of your emotional issues are seeded inside of you through a lack of self-confidence, self-acceptance or self-esteem. Through those insecurities, jealousy finds its way into your mind using negative thoughts. You tend to look to blame almost everyone but yourself for how you feel. This is so you do not have to do all the work to change your way of thinking, you are infact putting the responsibility on someone else's shoulders. This is very wrong and yet another negative way to think. You must learn to grasp the reality of how your thoughts work. You can go on and on suffering or you can take a stand and take control of how you allow triggers to effect you. Remember this please, that you will fall and be faced with getting up and going forward over and over again. You will fall back and feel how easy it is to allow jealousy to take hold of you. Jealousy will try to convince you to be your old self and that life will be good, which you now know is not true. You will have to fight these jealous feelings and focus on how unhappy the old you was and still would be. You will have to say NO to them and push forward, even if you have to grab a pen and paper and write in your journal, just to derail these negative thoughts, do it, do whatever it takes even if it means making a funny face at yourself in the mirror at yourself,if it means screaming at the top of your lungs or jumping up and down, just do it. You must derail those negative thoughts. Self- talk is what you will become very good at after a while, but it does take time. These old ways of thinking will also play mind games with you which I refer to as, "mind trickery". Mind trickery is when your positive and negative thoughts battle to control your actions and reactions to certain situations. Fear and worry cannot exist in the same mind frame as love and acceptance. Once you can learn to put love and self-acceptance ahead of fear and anger, will you then be able to allow a calmer state of mind and thought. I can not stress this point enough. Making positive decisions is entirely up to you and noone else. You are the only one that can make YOU happy in your mind. You have the ability to chose, so please chose positive. If you don't have self-acceptance and understanding of who you are, you will always feel threatened by someone or something. The more you can tear down these negative fears the less threatening they will be. If you pretend it is not you that has the issue and try to ignore it, you are doing nothing but delaying the inevitable. My question to you is,"What are you waiting for?" The answers are all inside of your mind. They will not be hand delivered to your door step with instructions or a guarantee. If you are waiting for your partner to actually get so tired and frustrated that he leaves you, that too will happen and you will have no one to blame but yourself. It is never to late to change and reach out for help as long as your reach does not come with any type of conditions or demands. I will end this now by reminding you that not only is positive thinking an important key to being happy and able to trust,but it is very much through understanding who you are and accepting yourself. Again I will say, you have the ability to chose how you think, so please chose positive. This is a production of womensselfesteem.com and I hope that this article has been beneficial to you in helping you learn how to battle jealousy.